The OWL Drop-in Filter Adapter from DEO-Tech adapts a Canon EF lens to a camera with an MFT mount. This adapter can mount onto any Canon EF lens; including ultra-wide, fisheye, or tele lenses. 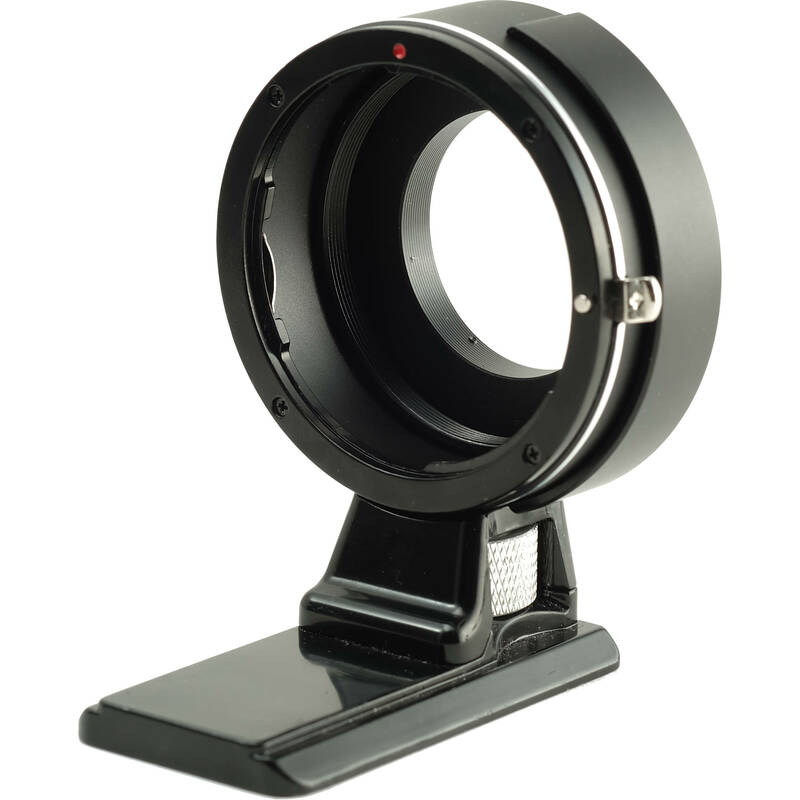 It attaches to the rear of the lens instead of the front and accepts all 52mm filters, eliminating the need for different size filters for different lenses. This adapter can also be used to protect the image sensor from dust, water, and oil; just attach it to the camera mount and insert a filter into it. Box Dimensions (LxWxH) 7.0 x 3.5 x 1.7"
OWL Canon EF Lens to MFT Mount Drop-in Filter Adapter is rated 2.0 out of 5 by 2. Rated 3 out of 5 by Andrew from One Major Issue It works for me, but only because I put it in my lathe and modified it. In the condition that it arrived, it would not fit on my E-M1 Mark II or my E-M10. I needed to machine a 45 degree bevel on the camera body mounting side to get it to attach. Once I did that, it works wonderfully. Holds the filters well and does what I need it to. Rated 1 out of 5 by Andrew from Doesn't fit E-M10 or E-M1 Mark II It locks up perfects on my Canon EF lenses, but it won't fit on either of my MFT cameras.? The adapter makes contact with the protrusion at the top of both of the E-M10 and the E-M1 Mark II.? Couple millimeters and it should work. What size filters dies this accept? This drop in filter adapter can accept 52mm filters. needed to machine a 45 degree bevel on the camera body mounting side to get it to attach? What does this mean? How to operate this? This means that it will not fit an Olympus E-M camera body unless a machinist custom modifies the part. It is not a modification that can be done at home. A professional machine shop is required to make this part fit an Olympus E-M camera body. It should fit a Pen camera body.